NWRA’s vice president of technical and regulatory affairs combines her engineering background with her industry knowledge to drive growth. 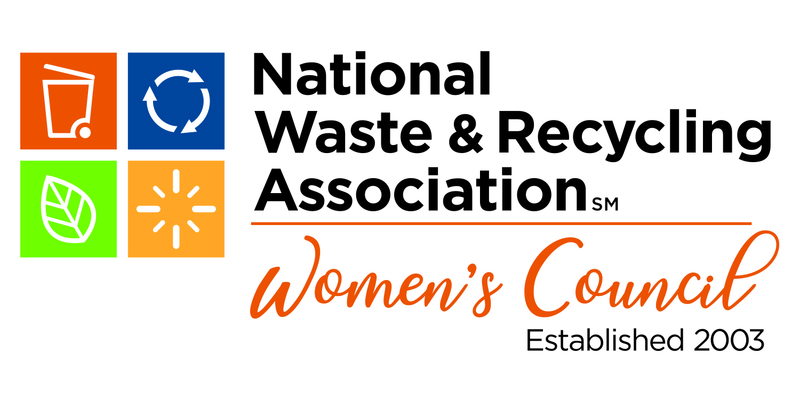 In a new monthly series called Women Leaders in Waste, Waste360 will highlight women leaders who are making a positive impact on the waste and recycling industry and working to shape the future of the industry in innovative ways. The series will feature women from a variety of industry sectors, showcasing the many roles and responsibilities within the industry. As we kick off this series, we invite our readers to email Waste360 Editorial Director Mallory Szczepanski at Mallory.Szczepanski@informa.com with suggestions of women to feature in the coming months. Many members of the waste and recycling industry say that once you enter the industry, you’re likely to stay in the industry for the long run. That statement rings true for Anne Germain, vice president of technical and regulatory affairs at the National Waste & Recycling Association (NWRA). Germain, who has been in the industry for about 25 years and also teaches yoga, has worked to enhance the waste and recycling industry by putting her engineering background and extensive knowledge of the industry to good use. Throughout her career, she has provided regulatory support to members of the industry, developed and implemented effective and efficient strategies, published more than 20 papers and served as a mentor for those launching their waste and recycling careers. She also has been an active team chair in ABET, a nonprofit, nongovernmental organization that accredits college and university programs in applied and natural science, computing, engineering and engineering technology. Germain, who holds a bachelor of science degree in civil engineering from Virginia Tech and a master’s degree in civil engineering from the University of Delaware, began her career working for St. Mary’s County in Maryland, assisting with recycling, solid waste and landfill issues. After getting her feet wet in the industry, Germain left St. Mary’s County and began working for the Delaware Solid Waste Authority (DSWA). She stayed there for 19 years and worked her way up from senior engineer to chief of engineering and technology. As chief of engineering and technology, Germain was in charge of all capital projects, such as construction projects involving landfills, transfer stations, landfill gas facilities, buildings and roads. She also managed landfill gas operations, which are very intensive from an environmental compliance perspective, vehicle and heavy equipment purchases and IT issues. In that role, she was also actively involved with the Solid Waste Association of North America (SWANA), initially serving at local and chapter levels before becoming active on a national level as the division director for the landfill division and the president of SWANA international. After about 19 years, Germain moved on from her role at DSWA and began working at NWRA as its technology director. In that role, which was a newer role at the association at the time, she focused more on policy-related issues, helped members in a number of different ways and tried to identify what was needed in the industry. One of the most notable changes that the industry went through when Germain first joined NWRA was adapting to Operation Green Fence, which was put into place in 2013 by China in an attempt to crack down on contamination. In the first year of Green Fence, nearly 70 percent of all incoming containers loaded with recyclables were subjected to thorough inspections. Fast-forward to 2017, when China ramped up its crackdown on contamination by announcing National Sword, a ban on certain solid waste imports. In addition to adapting to China’s new regulations, Germain predicts that diversion, specifically organics diversion, will continue to be a focus for the industry. Organics, along with nonrecyclable plastics, make up a large portion of the waste stream, and there’s already a growing effort from both a policy standpoint and an environmental standpoint to increase diversion. Another area of focus going forward may be textile waste, which has received some attention over the last few years. At NWRA, Germain also works hand-in-hand with staff to educate members on a variety of industry best practices, support women in the industry via NWRA’s Women’s Council and develop strategies and tips to improve safety and the environment. According to Germain, the industry still has far too many incidents and injuries, many of which are caused by distracted driving. And by improving automation and educating industry members on best safety practices, the number of incidents and injuries is likely to decrease. Germain explains that if the industry was able to make landfills safer with Subtitle-D regulations and making the move from venting landfill gas to extracting and utilizing landfill gas for other needs like energy, then it can improve things like collections and how materials are handled. It ultimately comes down to perspective and being open to new ideas, says Germain.